Have you ever had dreams of quitting your full-time job and finding a work-from-home opportunity instead? If you’re thinking about making the switch, these working from home tips will be invaluable, especially if you’re a mom. Maybe the thought of checking out of the rat race, not having to deal with co-workers or the public face-to-face is what entices you? Or, maybe just earning an income from the comfort of your living room is calling your name. It all sounds too good to be true, doesn’t it? For many moms, the idea of snagging a work-at-home gig sounds like the perfect solution — especially when you have young children at home. Let’s face it, daycare costs plus the stress of finding and keeping a quality child care provider make these opportunities pretty attractive. Not to mention the fact that when the kids are sick, it can be hard to keep up with your work and be a reliable employee. Some of us start to wonder if we should even be working outside the home at all (*raises hand*). For those who find it necessary to contribute to the family income, however, I can attest to the fact that it really is a huge benefit when you are able to work from home, as a busy mom. I have worked at home off and on for the past 5 years. I’ve been fortunate to manage flex-schedules with hours split between the office and home, and perform jobs that were entirely from home. These jobs included my work as a paralegal, a transcriptionist, and my current blogging adventure. I can also attest to some other facts though: with this flexibility comes great responsibility! This would be true for anyone working at home, but it’s especially true when you’re balancing your mom duties at the same time. You have to be extremely self-motivated, self-disciplined and organized in order to stay accountable and productive (while keeping the kids alive). Of those three characteristics, I personally feel that organization is the key for me. Right now, I keep two planners because I also have a part-time day job in addition to blogging. Each day, I have to have an idea in my head (or on paper) of how I’m going to entertain/feed/attend to the kids while I get each task done. From there, it’s all about setting reasonable time frames for completing projects and meeting deadlines. 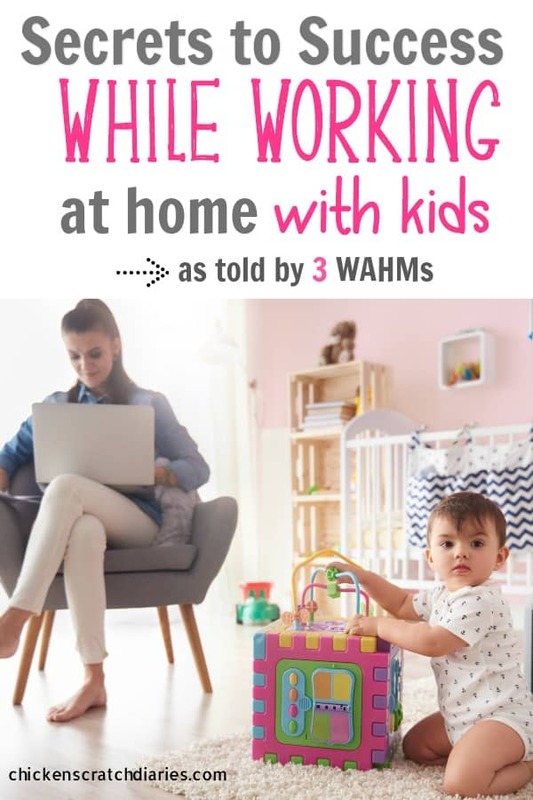 But my experience isn’t unique, and I wanted to gain the perspectives of some very successful work-at-home moms (WAHMs) on what it takes to thrive on the job while raising children in the same time, space and place. 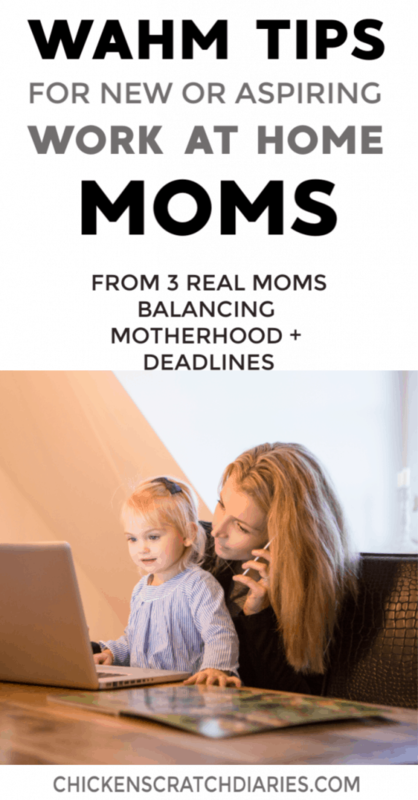 Below are the stories of three women who manage to enjoy the best of both worlds and their tips for accomplishing family/work balance. Even before having children, Sara and her husband Ben had decided that it would be their goal to have one of them working at home when they started adding to their family tree. As a civil engineer, she knew that working from home was a possibility but was unsure if it would be feasible for her. After baby #1 came along, however, Sara approached her employer at that time, who was very pleased with her work performance and willing to accommodate her needs. She has worked a flexible schedule almost entirely from home since then. Today, Sara works for a woman-owned and all female employee engineering company which has allowed her to work a very flexible schedule, and less hours altogether. Nearly all of her work is done from home, except for the one day a week she goes into the office. How does she balance a professional career with a preschooler and a toddler at home? The trick for Sara is to work while the kids are asleep! Nap time, bedtime = work time. She schedules fixed work hours and sets daily goals on what she will accomplish each day. Her husband is also very helpful after he gets home from work and will take the kids to run errands or go for a walk so that she can finish work if needed. And she occasionally takes advantage of a local Parents Morning Out program as well as babysitting help from her mother-in-law when she needs to complete a project. Sara admits that although it’s easy to be distracted by the beckoning chores (and children) while she’s working, she really loves the flexibility of being able to keep laundry caught up and start dinner earlier when she’s at home. Organization and discipline are this mom’s keys to staying balanced. If you’re looking for a work-from-home job, Sara’s tips are: find a position that relates to your current work experience of field of study. There are tons of work-at-home opportunities these days, but something you have experience in will likely pay better and allow you to advance and keep your resume current. At this point, you may be wondering if there are any real down-sides to the work-at-home life. Sara points out that it can be lonely and she does miss having adult conversation at times! It’s a lot to juggle when you’re a mom and a professional, but she sees this opportunity as an amazing blessing for her family. When I read Lisa Tanner’s story, I knew I had to include her advice if I was going to talk about successful work-at-home moms. 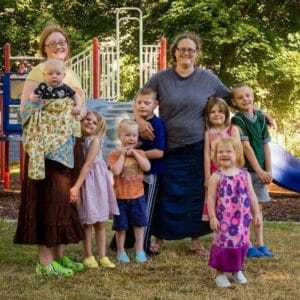 She has nine children (yes, nine! ), homeschools AND runs a blog as well as a freelance writing and Virtual Assistant business. Lisa has numerous articles and resources on her website for work at home success, and also has a book that outlines her best strategy, titled “The Ultimate Guide to a Successful Family Writing Time“. 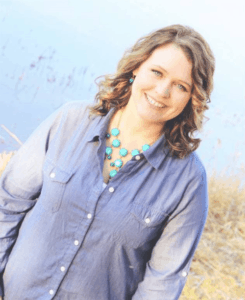 By engaging her children in “family writing time” for set intervals throughout the week, Lisa discovered that she was able to carve out valuable extra time to dedicate to her business. In turn, the time the family spends sharing their writing projects with each other is something they all look forward to. When discussing the all-too-common “mom guilt” that can accompany the work-at-home atmosphere, Lisa feels that this guilt is self-inflicted and unfair. She points out that moms have always worked, and in the past, kids were simply expected to work alongside their parents while learning valuable skills and a healthy attitude about work. She says that as a work-at-home mom, you have the perfect opportunity to instill these skills in your children. 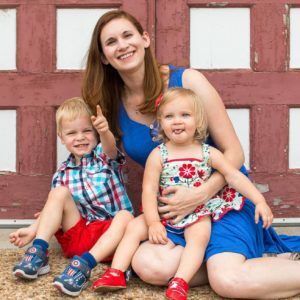 By involving her children in her business, alternating work periods with play periods and having a very organized schedule, Lisa keeps everyone active and constantly learning throughout the day. She is also teaching her children to entertain themselves and (eventually) be self-sufficient, rather than thinking that they must be entertained by somebody else (namely, mom). Because, of course, life isn’t all fun and games! Lisa says that it’s important to be mindful of each child’s needs and make sure they are safe during work time. She has a disabled son diagnosed with Pica and Angelman Syndrome who requires a safe room just off the living room for this purpose. This arrangement and thoughtful preparation has allowed Lisa to successfully contribute to the family’s income, doing work that she loves, while being present for her children during the time in their lives when she feels she is needed most. When Kena’s two boys (now ages 17 and 15) were very young, she would spent countless hours researching part-time jobs that she could do from home. She wanted a career but also wanted to be there for her children as primary caregiver. When she stumbled upon Virtual Assisting, she jumped in full force and hasn’t looked back! As owner/operator of a Virtual Assistant Company, Kena offers technical and administrative support to her clients so that they can focus on what they do best. She loves supporting her clients and has no plans to alter the career path that she forged eleven years ago. Scheduling everything has been of utmost importance in Kena’s work-at-home world. Basically, if it doesn’t go on the calendar, it doesn’t happen! Each week is different, but for instance, she schedules blocks of times for answering emails; time for social media interaction and time for building her business. If her son has a football game, that goes on the calendar and her work tasks get scheduled around it. She also avoids phone calls during work hours, unless it’s a scheduled call. She says that her work has not always been easy or convenient, but she’s made a good living and this arrangement has worked well for her family overall. Kena is so passionate about her work that she recently launched a new 6-week training program, “How to Become a Virtual Assistant“. Check out her website for future training opportunities! Is a Work at Home Career Right for You? If you’re already working at home, I hope these three viewpoints will serve as inspiration for meeting career and income goals, while finding that delicate balance of quality time with your children. And if you’re thinking about finding a work-from-home opportunity or starting a home business, I think there are some important points to take to heart as you analyze whether this is the right path for you and your family. Working at home and/or having your own online business is not for everyone- and that’s ok! But if your skill set, natural abilities and work ethic happen to land you in a position that allows a work-at-home opportunity, know this: it is possible to earn a living from home and be the mom you really want to be. It doesn’t have to be either/or, as these moms (and numerous others) have demonstrated. Look for more articles in the future about work-at-home opportunities and tips for doing what you love (for profit) while raising your tribe! Despite all the modern conveniences, today’s moms wear many hats! It’s encouraging to read these success stories of other ladies. I teach piano from home as my main work-at-home-job, and I’m thankful for the opportunity it provides me to stay at home with my children. It has it’s challenges, but it’s the best of both worlds. You’re right about that, we’re busier than ever despite all the advances and things that are supposed to make our lives easier! Thanks for sharing your perspective; teaching piano seems like a wonderful work at home option for moms. 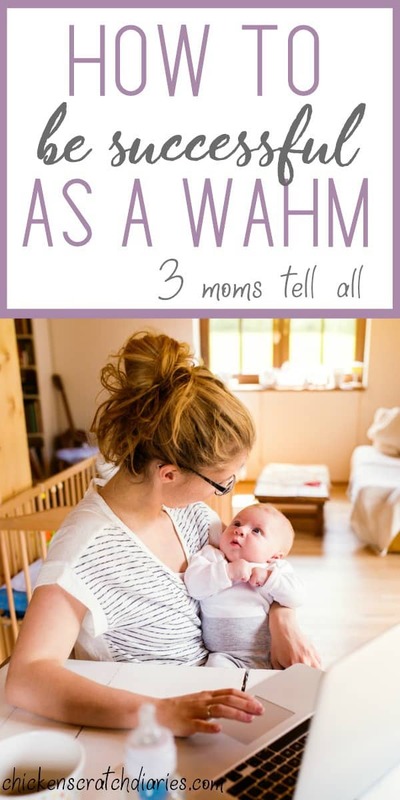 This is such a great post with helpful advice for all mommas who want to work at home with little ones. It can definitely be a struggle! Thank you for sharing! Thanks Ashleigh! It’s not easy, but it’s definitely worthwhile, isn’t it? Thanks for stopping by.